San Diego weather has been pretty chilly lately and I keep reaching for the coats, the sweaters and even sometimes blankets (don't judge me, I'm not used to cold). Still, I refuse to let my coat game get bland or boring so I picked this patterned fuzzy hoodie from Saylor Clothing to tackle the chill or even snuggle into (the texture is so soft I feel like I'm in one of those detergent commercials when I press my face on it). I also picked up a few other cute pieces from Saylor Clothing that I will be styling in the next couple of posts. When I read "SoCal Chic" in their description, I knew this shop was totally up my alley! 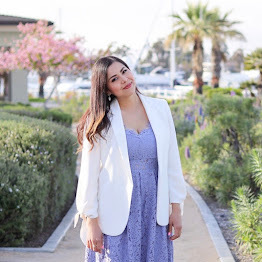 Headquartered in the college town of Downtown Fullerton in sunny Southern California, Saylor Clothing selects only gorgeous pieces for their shop and do all of the fashion legwork for you. Every piece is both stylish and affordable- Check their site out here! That hoodie Cardy is all kinds of gorgeous. Love it. nice outfit, loving your necklace and coat! 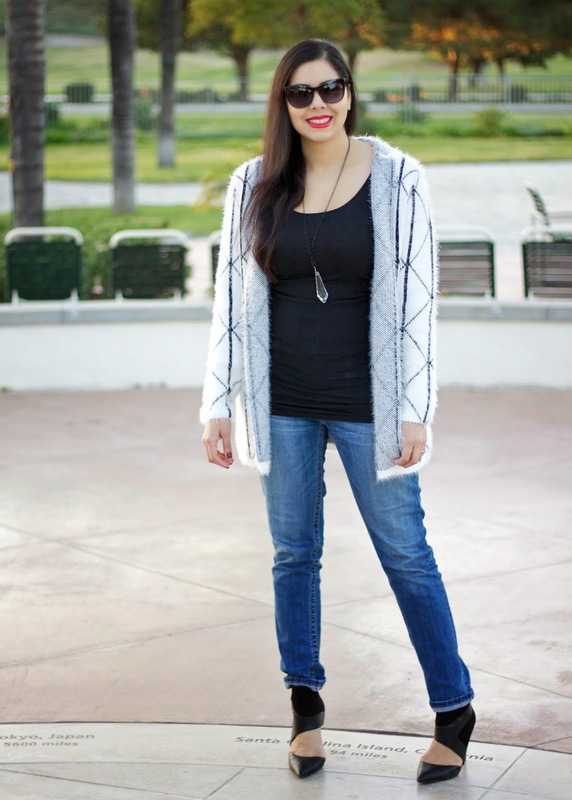 That cardigan looks sooo cozy, and I love your sleek styling with the glam heels and red lips! I wouldn't let that coat go either! It looks so cozy and the color/print is perfection! Nice outfit! Love te cardi! 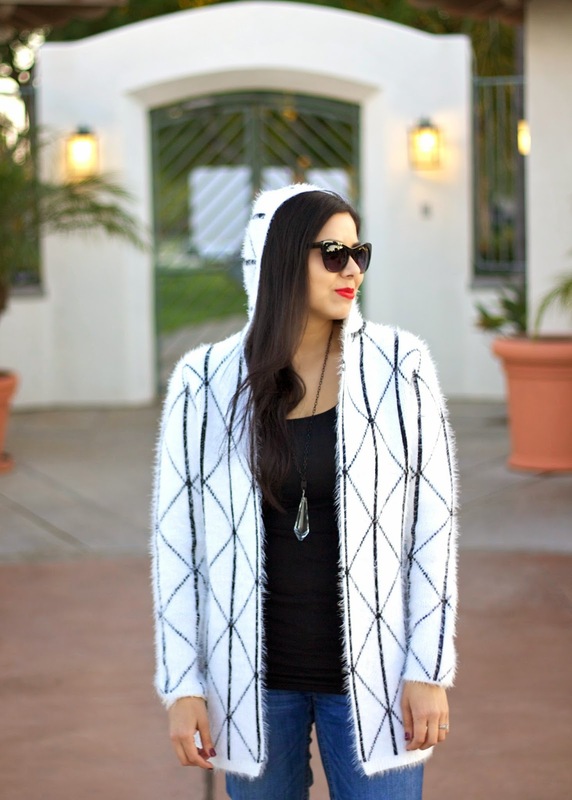 I am in love with your cardigan! The pattern, the colors and it seems so soft. Great look as well !